"These are my Brat babies: the black and white is Jasmine at 4 years old; the brindle and white is Tinkerbell at 3 years old. They are not from the same litter, but they are both Brat Terriers. 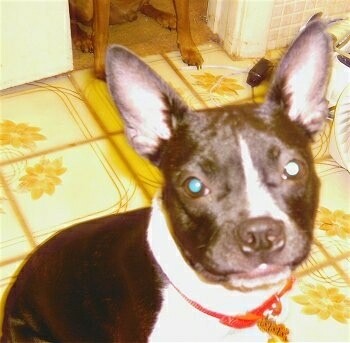 Jasmine's temperament is more like a Boston Terrier. She likes to hunt outside in the backyard. We have a large pond and Tinker loves to chase the fish, birds, lizards, butterflies, etc. She fell into the pond a few times and swam. They both are very intelligent. Jasmine can open the pantry door and can bring her bowl when she is hungry. 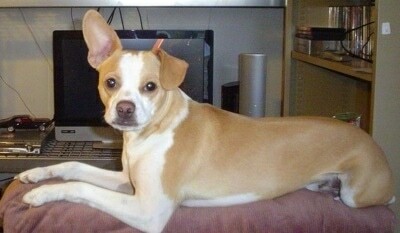 She can close doors, growl, bark, roll over, beg, kiss, hug, etc. Tinker can do pretty much the same. They both understand English very well. They can even spell, like - G.O. W.A.L.K. P.A.R.K. They know when people are coming to visit us. I think they understand the word "coming," and know our friends and our friends' dogs’ names." The Brat is not a purebred dog. 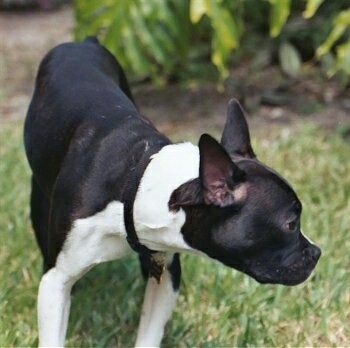 It is a cross between the Boston Terrier and the Rat Terrier. The best way to determine the temperament of a mixed breed is to look up all breeds in the cross and know you can get any combination of any of the characteristics found in either breed. Not all of these designer hybrid dogs being bred are 50% purebred to 50% purebred. It is very common for breeders to breed multi-generation crosses. 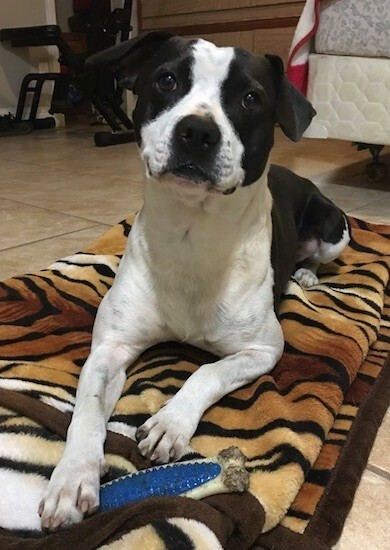 "Hank at 3 years old is a good boy he likes playing outside with others animals is very fun and friendly." 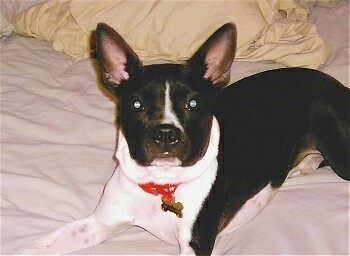 Bailey the Brat Terrier at 5 months old—her mother was a full Rat Terrier and her dad was a pure Boston Terrier. 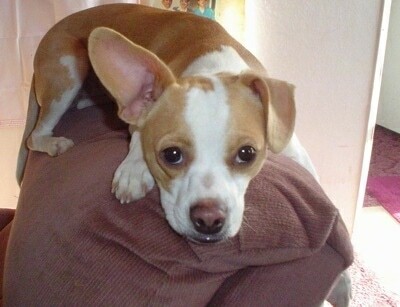 "Cheech, a Brat at 1 year old—Cheech's mother is a Boston Terrier and his father is a Rat Terrier. Cheech has lots of energy. He likes to run and play and loves kids. Cheech is very well behaved most of the time." "But he doesn't like to be left alone. He likes to chew. 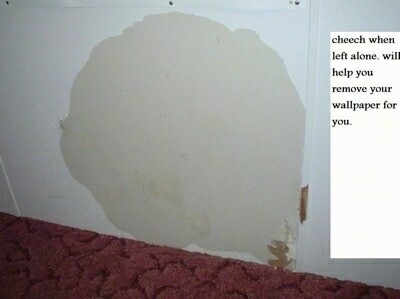 This is a picture of my wall after him being alone. "He has a lot of personality and one ear that's floppy. We think that the ear accents his personality. Cheech likes to torment our Corgi."